CTBA was formed to establish fair and equal guidelines for all competitive BBQ cooks who insist on well-run and organized barbeque cook-offs. The Central Texas Barbeque Association is a non-profit organization dedicated to promoting barbeque – barbeque cooking, Bar-B-Que contest, B-B-Q eating, BBQ whatever – and having a good time while doing so. No matter how you spell 'BARBEQUE' it is the hottest thing going. The CTBA was founded in 1992 with 10 members and grew to over 100 in less than a year. 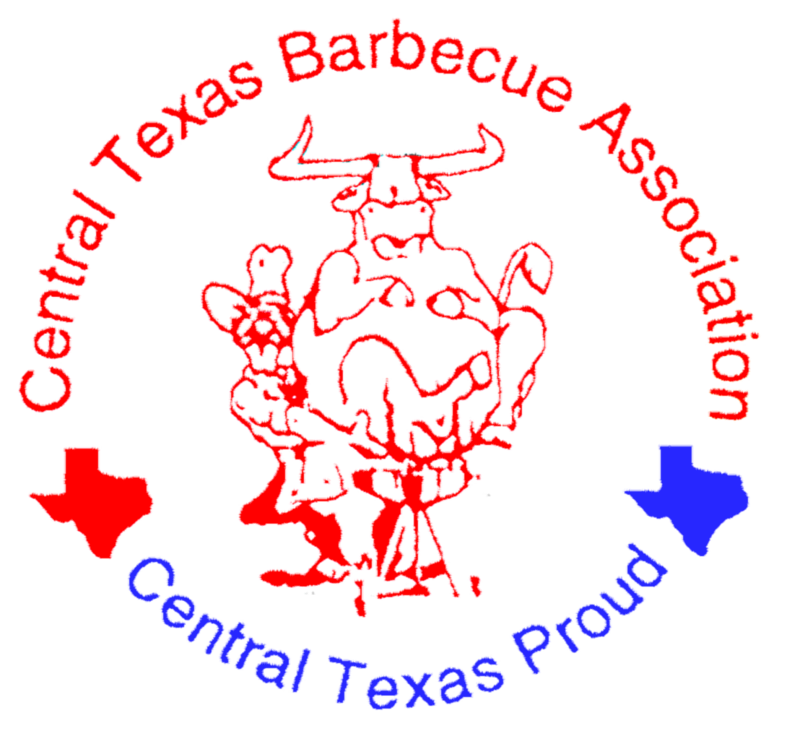 The CTBA promotes barbeque by assisting civic and charitable organizations in conducting barbeque contests. For the contestants, the CTBA offers standardized rules and regulations, and the knowledge that the contest will be fairly judged. For the contest organizers, the CTBA offers free promotional listings on the CTBA Website and on Facebook. We also provide contest forms, checklists, a fair and equal judging system and a head judge to help on the day of the event. To sanction a cook-off of 10 or less participating cooking teams, CTBA charges a minimum of 50 dollars. For cook-offs with greater than 10 teams, the fee is 5 dollars per participating team. This is for 3 meat trays and a bean cup with lid per team, any additional categories will be 50 cents per team. In addition, the promoter shall provide lodging and/or gas to cover CTBA representative's expenses and a $5.00 per team fee for the head judge. If your cook off is over 100 miles from Temple Texas the promoter is responsible for 2 nights accommodation for the head judge. This is usually Friday and Saturday night. Please pay your head judge before your event in over. Your head judge will contact you prior to your event. These by-laws may be changed at the December meeting of each year. Rule clarifications can be made as needed. Any by-laws changes affecting promoters may only be made in the December meeting. CTBA shall notify members through website or social media i.e facebook regarding any such changes. It is the responsibility of the promoter and head judge to be familiar with all changes that effect their cook off. Any change of the by laws must be brought up by a paid member which will then be placed on the agenda for discussion. A motion must be made to make such changes. The motion will have to seconded and a majority vote must pass in order for any rule to be changed.. The CTBA organization feels that it is their job to help keep members informed on upcoming events and winners of past events that have been sanctioned by CTBA. We also strive to include such BBQ events that may not be sanctioned or sanctioned by us for the benefit of our members. This information is generally distributed through our website and through social media (ie. Facebook). All members are invited to submit information or news, which may be helpful to CTBA members.